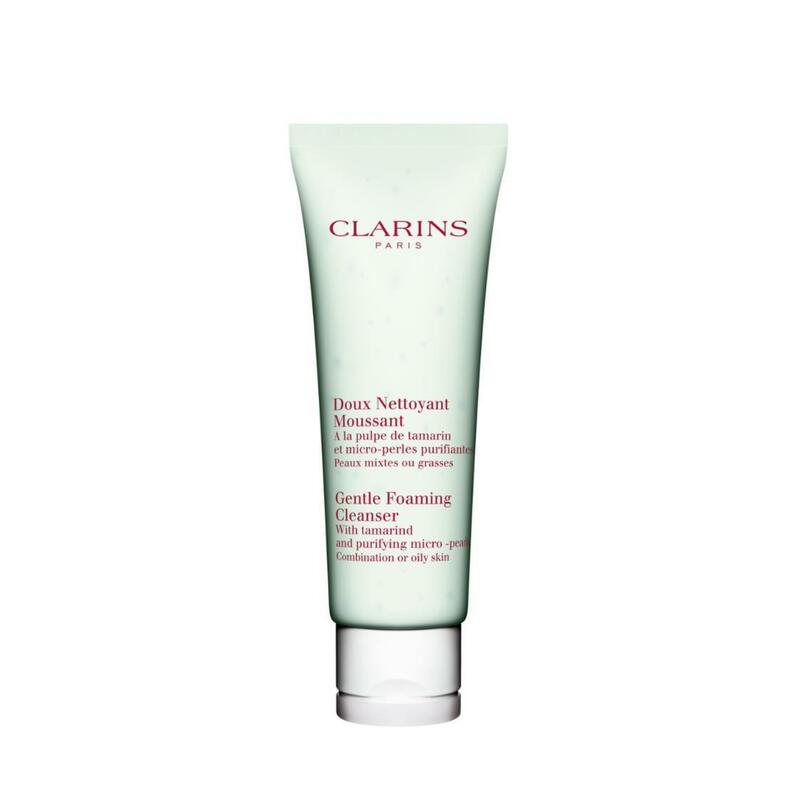 Clarins Gentle Foaming Cleanser for Combination or Oily Skin is as effective as soap and as gentle as a cream with its soft, generous foam from the extract of a delicate white flower called gypsophila. Easy to rinse with water, the cleanser leaves skin delicately purified, fresh and clean. The micro-pearls melt into the skin, purifying the epidermis. Tamarind refines skin texture in oily skin zones by helping to eliminate dead skin cells that block pores. It’s the essential cleansing care for a pure, matte complexion that leaves skin supple, fresh and comfortable. Gentle thorough cleansing is your first step to beauty.